Whether you’re looking for a concert grand piano, a high-end upright, digital piano or entry-level used piano, we have the perfect instrument for you. We offer more than 10 brands of pianos, including Yamaha, Cable-Nelson, Wm. Knabe & Co, Samick, ARIUS, CASIO, Kohler & Campbell, disklavier, Sohmer & Co. Whether you are looking for a traditional upright piano, a concert Yamaha grand piano, an organ or our popular digital Yamaha Clavinova, you’ll find an enormous selection styles, colors and sounds. If you live in Northern Utah, we want to help you find the perfect piano! We also have a large assortment of used pianos. Buying a previously-owned piano comes with considerations and risks — has it been exposed to humidity or a varying climate? Has it been well-maintained over the years? While there are many independent used piano sellers in Ogden and Northern Utah, it’s important to work with a trusted and experienced dealer. The Ogden Piano Gallery will help you ensure you’re purchasing a high quality instrument. 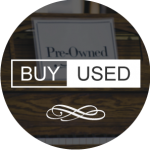 Our inventory of used pianos moves quickly, so if you are in the market for a used piano, we’re happy to add you to our “watch list” and notify you when we receive a used piano within your price range. Just fill out the form to the right. Time to clear out the old piano? The Ogden Piano Gallery will buy or help you sell your used piano! We also do piano trade-ins, so you can use the trade-in value of your old piano toward the purchase of a new piano. We’ll even come get your trade-in for free! 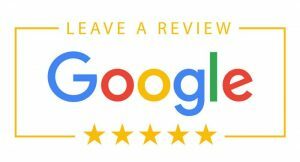 If you choose to sell your piano directly rather than selling it to us, we’ll come to your home and provide you with a free appraisal to help you sell it and get what it’s worth. Contact us for details!